"For a few hours—amidst the sounds of morphing extraterrestrials, ignited flamethrowers, and the sonic tremble of spaceships overhead—it felt like I had stolen away into the world of The X-Files and been treated to my very own mini-season." We all want to believe. The truth is still out there. The X-Files have been reopened. IDW Publishing and series creator Chris Carter have authorized new investigations into the weird, the strange, and the mysterious. 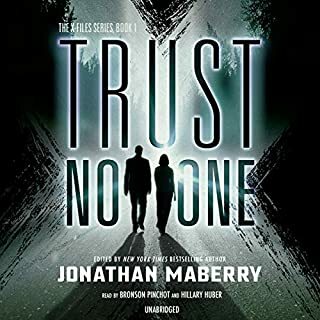 New York Times best-selling author and multiple Bram Stoker Award winner Jonathan Maberry brings together some of today's top storytellers for a series of anthologies featuring all-new stories from the X-Files. Scully and Mulder continue their journey into darkness as they face aliens, monsters, shadow governments, and twisted conspiracies. 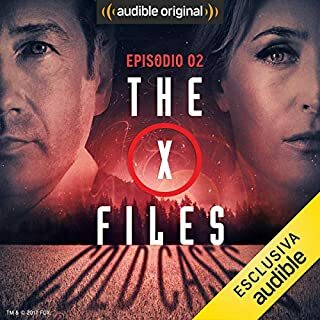 La serie che ha costretto un'intera generazione ad osservare il cielo ritorna con una audio serie mozzafiato con le voci italiane originali degli agenti FBI Fox Mulder e Dana Scully. La verità è là fuori. Devi solo ascoltarla. Subito dopo il rientro nell'FBI, Mulder e Scully conoscono il nuovo superiore della divisione degli X Files: la vice direttrice Morales, che affida loro il caso di alcune scomparse occorse a Martha's Vineyard e che sembrano coinvolgere un essere già noto ai due agenti e cioè l'uomo-verme. Meet Mulder and Scully, FBI - the agency maverick and the female agent assigned to keep him in line. Their job is to investigate the eeriest unsolved mysteries in modern America, from pyro-psychics to death row demonics, from rampaging Sasquatches to alien invasions. These are the cases the Bureau wants handled quietly but quickly, before the public finds out what's really out there...and panics - the cases filed under "X". How did Fox Mulder become a believer? How did Dana Scully become a skeptic? The X-Files Origins has the answers. 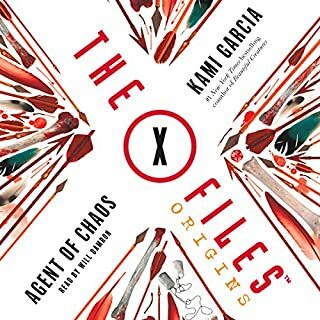 The X-Files Origins: Agent of Chaos explores the teen years of Fox Mulder, the beloved character depicted in the cult-favorite TV show The X-Files. His story is set in the spring of 1979, when serial murder, the occult, and government conspiracy were highlighted in the news. The audiobook follows Mulder as he experiences life-changing events that set him on the path to becoming an FBI agent. Part history lesson, part audio documentary. A data breach at the FBI imperils former agents. Skinner frantically warns of a psychic attack. Scully faces a terrifying group of hooded figures. Facing an old foe, Mulder packs a familiar weapon. Award-winning film, television, and theater actress Gillian Anderson first achieved international acclaim for her portrayal of Special Agent Dana Scully on The X-Files, a role that won her an Emmy, a Golden Globe, and two Screen Actors Guild awards. Her extensive television career includes starring in the critically lauded series Hannibal, American Gods, and The Fall. On stage, Anderson’s portrayal of Blanche DuBois in the Young Vic Theatre’s production of A Streetcar Named Desire earned two Olivier Award nominations. Her creative work also extends to authorship; her published books include We: A Manifesto for Women Everywhere and The EarthEnd Saga, a trilogy she also narrated for audio. Off screen, Gillian has been involved in many charitable organizations, advocating for the rights of children, women, and animals. Born in Chicago, Anderson has lived in London for the past 16 years with her three children. David Duchovny is an actor, writer, musician, director, and filmmaker who came to fame for his portrayal of Special Agent Fox Mulder in The X-Files, for which he won the first of two Golden Globe Awards. He has been nominated for three Emmy Awards, eight Golden Globes, nine Screen Actors Guild Awards, and a Television Critics Association Award. In addition to The X-Files, Duchovny has starred in the long-running series Californication and the much-adored cult classic Twin Peaks. Adding to his list of accomplishments, he wrote, directed, and starred in three critically acclaimed episodes of The X-Files and directed six episodes of Californication. On the big screen, Duchovny has been featured in hits such as Chaplin, Kalifornia, Return to Me, Full Frontal, and Zoolander, among other films. In 2005, he made his feature directorial debut with House of D, which he also wrote and appeared in. As a singer-songwriter, he has released two albums: Hell or Highwater (2015) and Every Third Thought (2018). Duchovny is the author of three novels, Holy Cow: A Modern-Day Dairy Tale, Bucky F*cking Dent, and Miss Subways, all of which he has performed for audio. His other audio work includes the Audible Studios exclusive To Legend He Goes and, of course, The X-Files: Cold Cases and The X-Files: Stolen Lives. He currently splits his time between New York and Los Angeles. Actor Mitch Pileggi is a longtime favorite of science fiction and horror fans, most notably for his role as Assistant Director Walter Skinner on The X-Files. Pileggi’s acting career began in local theaters, campy B-movies, and guest spots on TV’s Dallas and Walker, Texas Ranger. His other acting credits include recurring roles in the hit television series Supernatural, Sons of Anarchy, and Stargate Atlantis. The X-Files: Cold Cases and The X-Files: Stolen Lives are Pileggi’s first journey into audio. William B. Davis is an actor and director best known for his work as Cigarette Smoking Man in The X-Files. Davis began his career in radio as a child actor for the Canadian Broadcasting Corporation. He later studied at the London Academy of Music and Dramatic Art. William B. Davis founded his own theater school, The William Davis Centre for Actors’ Study, which became part of the Vancouver Institute of Media Arts in 1989. In 2011, Davis published a memoir, Where There’s Smoke: Musings of a Cigarette Smoking Man, a title he also narrated for audio, about his time on the show. In The X-Files: Cold Cases and The X-Files: Stolen Lives, Davis returns to the audio drama format that jump-started his career. Tom Braidwood is an actor and director familiar to fans of The X-Files as conspiracy theorist Melvin Frohike, a member of the beloved Lone Gunmen. Braidwood served as an assistant director on the first five seasons of The X-Files, as well as second unit director on Millennium. Additionally, he produced the second season of Da Vinci’s Inquest. Braidwood also appeared in The Lone Gunmen, a spinoff where he reprised his role as the eccentric Frohike. The X-Files: Cold Cases and The X-Files: Stolen Lives are Braidwood’s first experience with audio. Dean Haglund is an actor and comedian made famous by his turn as Richard “Ringo” Langly, the youngest of the Lone Gunmen, on The X-Files. In addition to his work on the show, Haglund starred in the 2011 documentary The Truth Is Out There, a film focused on conspiracy theorists. He also works as a standup comedian, having performed with improv troupe Vancouver Theatresports League. Haglund’s first foray into audio came in 2007 with his Hollywood-focused podcast, Chillpak Hollywood Hour, which he started with filmmaker Phil Leirness. His audio journey continues with The X-Files: Cold Cases and The X-Files: Stolen Lives. Bruce Harwood is an actor known for his portrayal of John Fitzgerald Byers, the most subdued of the Long Gunmen trio. An avid reader, he worked as a librarian in his town before becoming an actor. In addition to appearing on The X-Files and The Lone Gunmen spinoff, Harwood has appeared on programs such as MacGyver and The Outer Limits. He is also a founding member of Bard on the Beach Shakespeare Festival in Vancouver. The X-Files: Cold Cases and The X-Files: Stolen Lives are Braidwood’s first endeavor into audio. Dirk Maggs is an innovator in the world of radio and audio production. A prolific writer and director, he is known for his cinematic approach to audio, utilizing scripts and fine-tuned sound effects layered with music to create a near visual effect. Maggs has previously worked on BBC Radio adaptations of The Hitchhiker’s Guide to the Galaxy and Dirk Gently’s Holistic Detective Agency. He also excels at adapting graphic novels for radio. His award-winning credits include Judge Dredd, Superman Lives, and Batman: Knightfall. 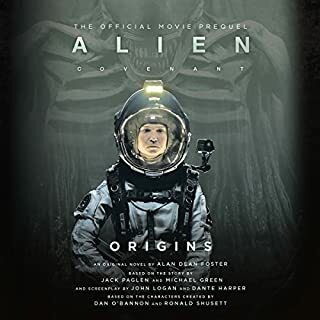 At Audible, Maggs has proven to be a breakout star, directing the groundbreaking original Alien series and adapting The X-Files: Stolen Lives. Joe Harris is a comic book writer and filmmaker who has worked with major publishers such as Marvel, D.C., Dark Horse, and IDW. Harris has created original comics such as Ghost Projekt, Rockstars, Great Pacific, and Snowfall. Since 2013, Harris has been the writer of the officially-licensed X-Files comics, a favorite of fans worldwide. Other writing credits include the chilling 2003 horror film Darkness Falls and 2006’s political slasher The Tripper. His audio journey began here at Audible, where his comics were adapted into two audio dramas, The X-Files: Cold Cases and The X-Files: Stolen Lives. Chris Carter is a television writer, producer, and director. Carter became a household name when he created the cult-classic science fiction series The X-Files. The series would earn him eight Emmy nominations. Carter also wrote and produced two X-Files films: 1998’s The X-Files and 2008’s I Want to Believe. His work beyond Mulder and Scully includes the series Millennium and the short-lived but beloved X-Files spinoff, The Lone Gunmen. 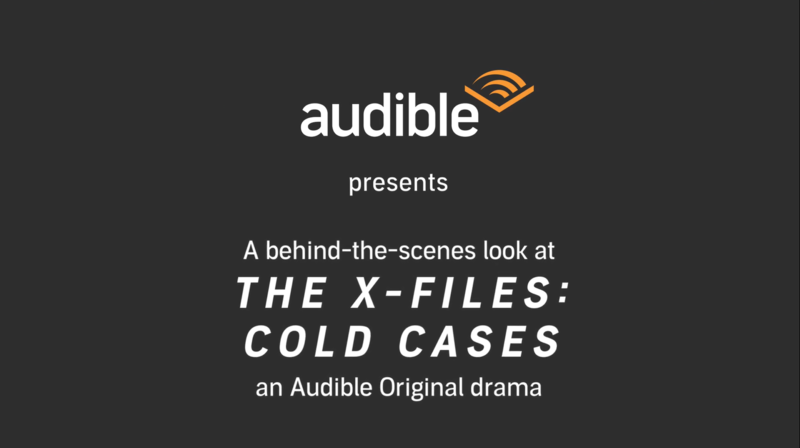 Audible Originals The X-Files: Cold Cases and The X-Files: Stolen Lives are his first foray into audio. Who Is This Dirk Maggs? The colorful The X-Files: Cold Cases writer/director on adapting for audio well-loved works. A new crop of original audio series are getting the full cinematic treatment, from casting to sound effects. Go back to the grunge old days, and relive your favorite decade and the cultural milestones that came to define it. I haven't really seen the tv show and only watched the film with the bees (and never saw the reboot) so my exposure to X-Files is really limited. Overall, while I felt the audio production was above average and the voice acting pretty great, I didn't really understand the stories and kept wondering how everything was connected. I was expecting a regular novel but this was mostly just vignettes. 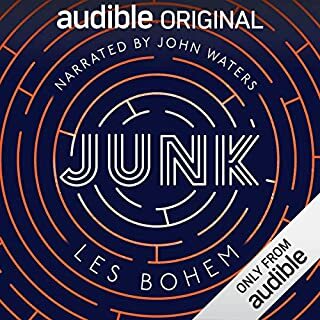 I also found it hard to keep up with all the different characters; this is my first time listening to an audio book that sounded more like a podcast than a regular book. I think this is something mostly for fans of the series who follow the franchise more closely. But I think my interest has peaked so I might check out the original series and reboot! Thought it was going to be cheesy or bad but it was a great revisit to the X-Files! A fun ride, with all the things I love about the original series: humor, intelligent writing, Mulder and Scully.. Try it out! Definitely worth a listen!! This is amazing. Plz more with the Original Cast!! If you could sum up The X-Files: Cold Cases in three words, what would they be? Mulder and Scully, of course. No. This is my first time. Yes, I laughed and wanted to cry. I was so happy to hear David and Gillian as Mulder and Scully. To hear the Lone Gunmen and Skinner. My only criticism is not for this but for CC. William is Mulder's son, CC. Come on. Anyway, other than that. This was excellent. Excellent. Voice acting poor at start of the recording, as if Duchovny and Anderson are bored. After a rough first hour, they seem to get back into their old roles and the voice acting greatly improves. Sounded just like a TV episode with the same feel, tone and sound effects. Nice production. Cleverly written to describe what one can’t see without making it obvious. The voice acting was well done by the cast, most of which were the original actors on the show. I liked the story which was told over several episodes (like the series). I was thrilled to hear many old characters from the series represented here, especially TLG. It was nolstagic, recapped old storylines and filled in a few gaps I had in understanding what was going on in the TV series. Highly recommended for fans and can be enjoyed by those who are just familiar with the X-Files series. I’m getting the next X-Files audiobook. More please. This audio show was just as entertaining as the show. Each actor does a good job making the listener visualize what’s going on well done! Xfiles makes an amazing audiobook! I’ve been huge Xfiles fan since day one and have also always loved audiobooks. So this turned out to be the perfect combo. This is definitely now one of my favorites. I listened to it from beginning to end and the time flew by. The sound effects and full cast was brilliant and reminded me a lot of J. Costa’s style for his audiobook Purgatory—another favorite of mine. 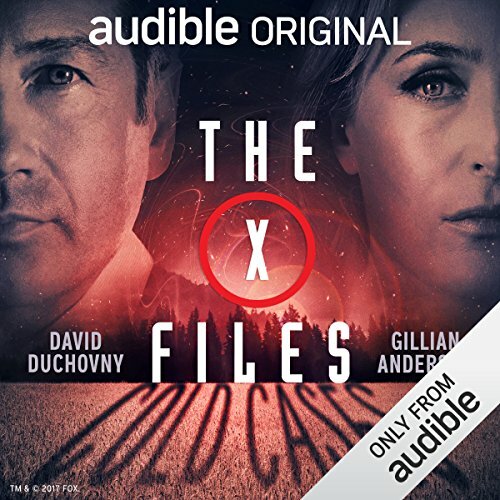 I’ll definitely be listening to the other Xfiles audiobooks that are available ASAP. I highly recommend this one. I have always love the X-Files ever since I was little! I was impressed at the descriptions and sound effects! Great job! I loved it! absolutely loved every second of it. everything I cherished about X-Files and more. My Mulder and my Scully how I remember them from 25 years ago. thank you so much! What would have made The X-Files: Cold Cases better? Better script. The actors are, of course, first class but they sounded wooden, like they were turning up just to get paid. Gillian Anderson especially is an astoundingly good actor and she was the best out of a bad bunch. It's not her finest work. David Duchovny was not good. He came across as bored and his jokes were painful. Generally speaking the acting did get a bit better towards the end. Better story line. It was trite and cliched. Needed a more genuine and original Sci-fi story. What character would you cut from The X-Files: Cold Cases? The whole storyline I'm afraid. Its more suited to young adult scifi. Overall a wasted opportunity for what could have been the audiobook of the year. Hmm, thought it was only fair if I listened to this twice before typing my review. This is the third audio-drama I’ve listened to this year that has involved Dirk Maggs and sadly like Alien: River of Pain, it just isn’t very good. Stepping away from his usual Directors chair, Dirk adapted the X-files graphic novels by Joe Harris into audio. Though I found these stories stale. With audio the story can take you anywhere, without the budget constraints that affect TV/film production, so I was hoping this would be big, bold and move the story along with energy. Oh and that’s something that was missing in the recording booths. The biggest frustration I had is with the cast as there are so many instances when they went out of acting mode and just read the script without emotion. Wham. And that’s you jolting out of the story wondering what just happened. It breaks the illusion, the immersiveness of audio. Not sure why the Director didn’t realise how ‘dry’ their performances were. And what’s with Dirk’s obsession with CB radio chat, just like ‘River of Pain’ there are a lot people saying “Copy That”. Arghhh. Lastly it was good to hear Laurel Lefkow again, she played Ripley in Alien: Out of the Shadows - still sounding like Sigourney Weaver. She was the narrator in this. What is it with the Audible review system. If a review is negative it is down voted, but Audible asks “Was this review helpful to you?”. Not whether you agree with it. To me it seems that the system is being manipulated. I’d rather read all positive and negative reviews and judge myself whether to purchase it. Just because I don’t agree with something, doesn’t me that it wasn’t helpful. A review with just some random words, now that’s something to click ‘No’. Great to be back in the xfiles world. Pity it was such a short visit. Firstly, this audiobook is broken down into 5 or 6 short stories, of which all are continuations from episodes/plot lines within the TV series. It was great to hear the original cast again reprising roles, but the storylines were sometimes difficult to follow. That said, I will try the second audiobook in this series. Well I didn't know what to expect with this and when it first started and I realised it was like watching the program without any video I was a little hesitant. However it soon grew on me especially with the performances. The story does come together a lot clearly towards the end , for a new listener I'm not sure there's anything here to hook them. Very reminiscent of the series brought back a lot of memories, looking for some more now. I was captivated throughout the entire story. Great having original cast members do the voices. Looking forward to the next series! It took me a bit to get past the robotic sound of how everyone spoke. I dont know if I just got used to it but I feel it did get better. I was addicted! ready for another. As a true fan for over 20 years this felt like a present made especially for us. Would you listen to The X-Files: Cold Cases again? Why? I would definitely listen again. There are some parts where I missed or need to double check, but it was really compelling. What was one of the most memorable moments of The X-Files: Cold Cases? The return of certain characters. While there were a few elements where it was slightly over-descriptive due to what should be a visual concept, the story telling was captivating, creepy, and has the essence of the TV series. Don't expect it to be exactly like the show in terms of visual story telling, but it's all there in terms of horror sci-fi and using the listener's theatre-of-the-mind. If you don't like it or you lose interest, you just don't get it. If you're a true XF fan, you'll enjoy it, more than season 10, bcos is Mulder and Scully driven! Loop it till season 11. Mention The X-Files and the eerie theme tune will immediately pop into the minds of loyal fans who tuned into their television sets for ten years from 1993 to watch FBI investigators Mulder and Scully delve in the mysteries of the unknown. 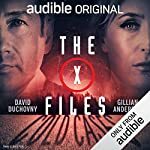 Set between the subsequent film, The X-Files: I Want to Believe, and the more recent revival TV series, this exciting full-cast audio adaption fills in some of the gaps that explain why the two lead characters came out of hiding. The original television cast return, including David Duchovny and Gillian Anderson as Mulder and Scully, and they are joined by some surprising appearances, including their former boss Walter Skinner (Mitch Pileggi), the darkly mysterious Smoking Man (William B. Davis), and conspiracy theorists The Lone Gunmen (Tom Braidwood, Dean Haglund, and Bruce Harwood), amongst many others. If you thought some of these characters were dead, all will become clear. A multi-episode arc intertwines the familiar ‘monster of the week’ format, based on graphic novels by Joe Harris. The audiobook opens with Mulder and Scully living as a couple under the assumed surname Blake. 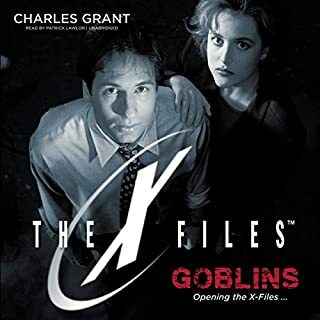 When the FBI’s X-Files are breached, the division is reopened and Mulder and Scully are called in to examine some cold cases that were never solved. In true fashion, the duo face clones, aliens, a deadly virus and spirits as they delve into each case and progressively uncover a plot by an alien race known as The Forsaken Ones. This is a full-cast audio play as opposed to a book reading, and it works well. The cast are all in fine form, supported by a stellar sound design complete with a full score of music and sound effects. The drama is high but not without humour. The actors slip back into their former characters like they’d never left and the writers honour them with all the expected quirks and banter that has made the show last so long. The X-Files: Cold Cases is a play for the fans, although it’s highly enjoyable for anyone who once enjoyed the television series. If you’re not familiar with the back catalogue of stories however, particularly toward the end of the show’s original run, then you’ll find there’s enough exposition to help you along but, like me, you can be left with the feeling that there’s more of a wow factor behind some revelations that only hard-core fans will fully appreciate. Even so, the truth is out there still to be discovered and, with The X-Files now re-opened, we can only hope there’s more on the way. An appallingly self-indulgent waste of time. Wooden performances, old trite resurrected plots and poor consideration given to adapting this to audio. If you are going to put something like this production together, please do it properly or leave it alone. What does the narrators bring to the story that you wouldn’t experience if you had only read the book?